Get a bird's eye view of the magnificent Australian icon from a fixed wing aircraft. Enjoy guaranteed window seats on all flights. Your professional pilot will provide you expert commentary along the way. 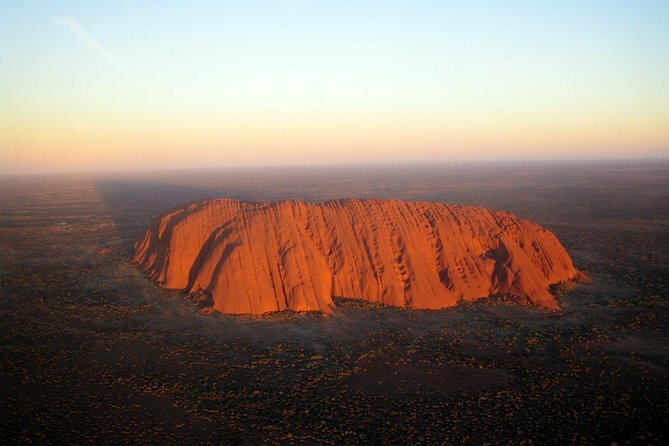 Take off from Ayers Rock airport and fly along the Northern and Western faces of Uluru. Watch Ayers Rock align with Mount Conner in the distance and witness the natural beauty of these giants. View the traces left behind from waterfalls on the rock and marks caused by its formation. Keep an eye out for Kata Tjuta (the Olgas), Lake Amadeus in the distance and the township of Yulara on your way back to Ayers Rock airport.